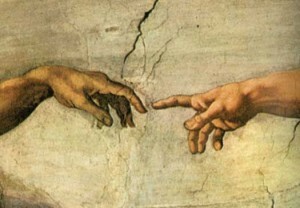 Creation, re-creation, or simply recreation? The newest project will be the JerseyMic.com donor party. Miracle Fruit tablets have been procured, and now the list of invitees will be put together and the location secured. The hope will be to gather people to experience miracle fruit tablets and to help raise money for JerseyMic.com. Everyone that goes will have a good time, guaranteed. There will be pictures here and links to the open mics run by the people invited. This is still in the works. There’s a couple secret projects also in the works. Be excited. Plus, the potential JerseyMic.com intern position is being worked out now. There’s a lot going on, which is why I’m posting. There will be a slowdown in posts, but in exchange, you will have more quality, more projects, and more community involvement. In the meantime, check out the review of the Barrington Coffee House “Wide Open Mic”, winner of the best open mic of the year award by NJ Monthly. This entry was posted on June 12, 2009, 8:00 am and is filed under Articles and Updates. You can follow any responses to this entry through RSS 2.0. You can leave a response, or trackback from your own site.